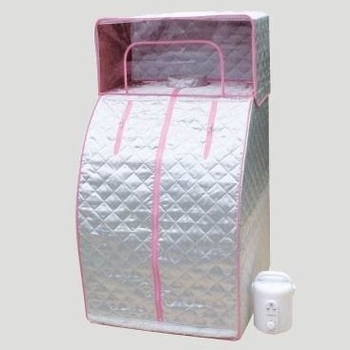 Flash board steam sauna is compact, can be folded easily and a perfect combination with beauty salts and lotions. More effective when matched with beauty products such as bath lotion, figure-shaping salts, aroma essence, herbal products etc. Thoughtful vent design leaves hands free for reading. Special waterproof cloth in the outer case retains heat, making it safe and convenient to use.